This is another of the high grade radios made in Canada. Most of my regular shoppers know that I try to get all of the Canadian radios I can; they were simply better made than American sets. This came from the only factory in the French speaking Quebec. The cabinet is an interesting step topped model, somewhat a skyscraper shape. The craftsmanship is dramatic with matched veneers and hand laid beading. The entire set is in fine factory original condition. 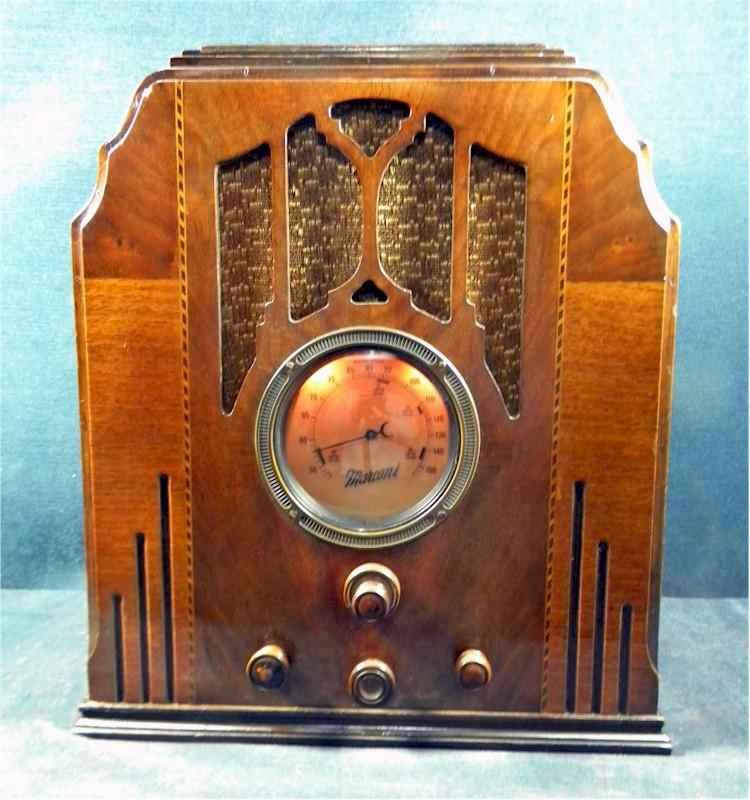 The fine radio is a six-tube super-het and it plays wonderfully on the broadcast band. My technician has done a complete repair and the radio plays like new. He added a fine silk power cord and Bakelite plug for your safe operation. 17-1/4"H x 15-1/4"W x 10-1/2"D.
You are visitor number 4,829 to this page.